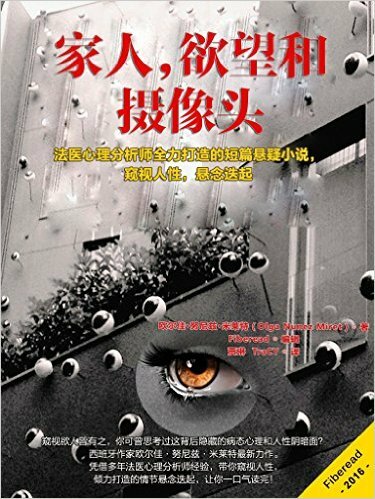 Olga with the interesting process of having her books translated into Chinese.. sounds like a gas… I think I will start with Spanish for mine but I might be tempted just for the experience to follow suit. Firstly congrats on another book translated and released to the Chinese market, Olga. Awesome! Thank you kindly for the mention and for including my link. It was a fascinating discussion to me. I very much enjoyed what you related here. It does seem that the Chinese in general are more receptive to stories that are not grounded in a Christian culture. You are very correct in that we often forget (even non religious folk) just how much of our day-to-day life is enveloped in that kind of thing. Mega hugs! Thanks, Teagan! I guess some things we see them all the time and we forget they are not the norm for everybody. Have a fantastic week! I’ve got as far as the team leader picking up the book i least thought likely for tranlsation, and they suggested I cnatact him, but i was not able to get through – the link didn’t work. So I just sit and wait I guess. Hi, Lucinda. In my case I’ve left it to them to contact me and they usually do if they have any questions. If you enter into Fiberead there is a tab for messages and if your book has been picked up if you try and message it will go directly to the person working on it (I have no understanding how it works, but it does). I did send a message to the manager of the first book, but other than getting a polite reply I realised that’s all part of the automated messages they send you. I had many messages for another one of the books that was delayed but the manager told me they always sent them automatically and they could be ignored. Yes, one just hopes they have a better understanding of the market than we do. Different teams seem to work at different speeds, because the first book they picked up hasn’t been finished yet, whilst two others they started working on later are out already… One never knows. It’s an experience. Good luck! I’ve heard nothing further and it’s been months and months. The same has happened to me. They chose some of them quite quickly but others not. So far, in my case, they’ve gone for the thrillers and one that is a young adult story. I guess it depends on the taste of the managers or what they think might sell. I’m wondering how we’ll know once a book is in another language if a word has been mistaken, such as ‘the beam of light’ as Moses? If we know somebody who speaks or reads that language we can always ask a favour, otherwise… I guess we’ll have to ‘believe’ it’s OK. In the Fiberead case, from the discussions I’ve had with the teams it seems they revise together, because sometimes I’ve had to be the referee between different members of the teams as to what something meant, so one hopes between them all they’d come up with something adjusted for quality. I guess if all the reviews say it’s terrible… But yes, I imagine it’s a similar thing to what would happen if the book was with a traditional publisher or we sold the rights to the translation; we wouldn’t really know what was going on. Many thanks Olga. Fiberead have picked up Queen’s Envoy for translation. I’m not sure how well humour will translate but I guess I’ll find out. Thanks, David. I’m sure you’ll find your interaction with the team a neverending source of entertainment (mind you, for one of my books I got no questions whatsoever. I guess it depends on the managers). Yes, I’ve found them quite literal but again it probably depends on how exposed they might be to outside sources. I hope you keep us informed! And good luck!